Stephanie Crousillat is a New York City based photographer specializing in dance and portraiture photography. 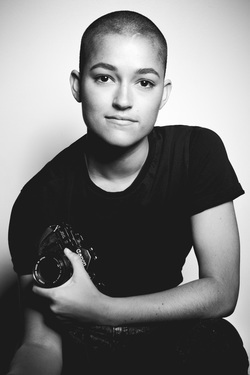 She received her BFA in Photography from Montclair State University in 2011. Besides her training in fine art and commercial photography, dance is another profession she has pursued, ranging from company based to commercial work. She was a performer in Punchdrunk's Sleep No More NYC (2015-2018), and was a guest performer at the Staatstheater Kassel in Germany for the 2017/2018 season. ​Currently working with 35mm film, VHS tapes, and digital equipment, Stephanie has been exploring her choices in composition, light, and focus. Other than her interest in still photography, a growing fascination with the moving image is coming to the forefront in her work, with a series short films.With these technicalities, there is a great interest in creating a surreal environment through these mediums and practices.